There is something noble about a portrait, especially when done in profile. Before photography was invented, the aristocracy of old commissioned artists to paint portraits to immortalize their image and their character and communicate their existence for the following generations. Even today, those old portraits speak volumes about a person. 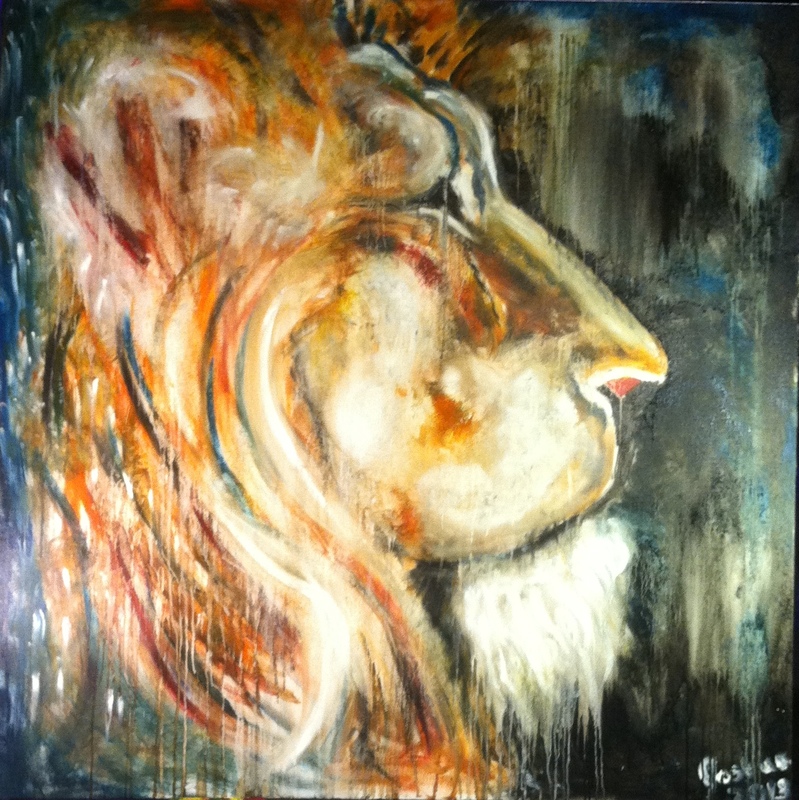 I love to paint lions because they speak a great deal about the character and nature of God. I usually paint a portrait of a lion looking directly or indirectly at the viewer because His gaze can communicate volumes. But in this piece the lion is in profile. It’s His noble stature that is communicated, His presence that illuminates the room. To me this piece of art communicates the timelessness of God’s nature as The Ancient of Days (Isaiah 43:13, Daniel 7). It is as if the Lion of Judah (Revelation 5:5) is sitting upon His stately Throne, the King of Kings, full of Wisdom and mighty to save. He is our Royal Savior, afraid of nothing for He has no equal. Not even sin and death can overcome Our King. I painted this painting as an act of worship and adoration during a worship service at CrossroadsChurch in Concord, NC on Sunday November 3,2013 at 11:11 AM.